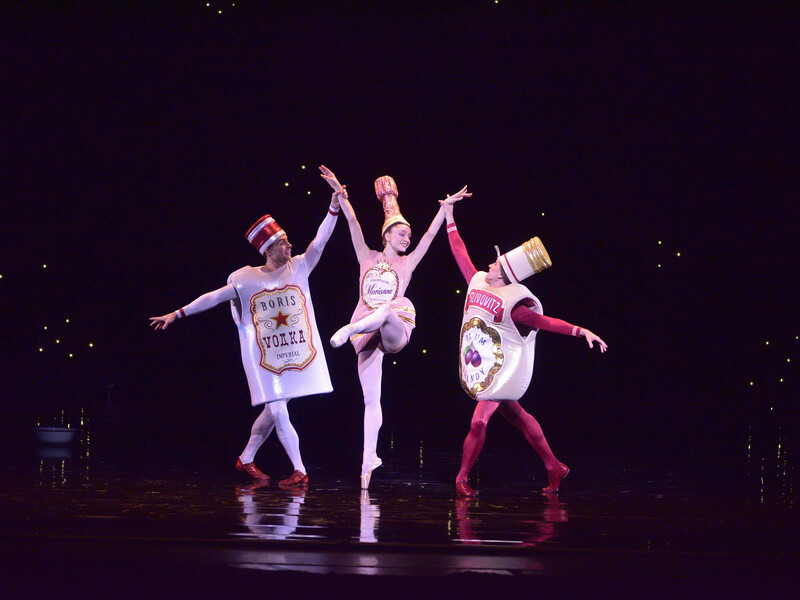 American Ballet Theatre (ABT) comes to the Auditorium this spring to present the Chicago premiere of Whipped Cream. 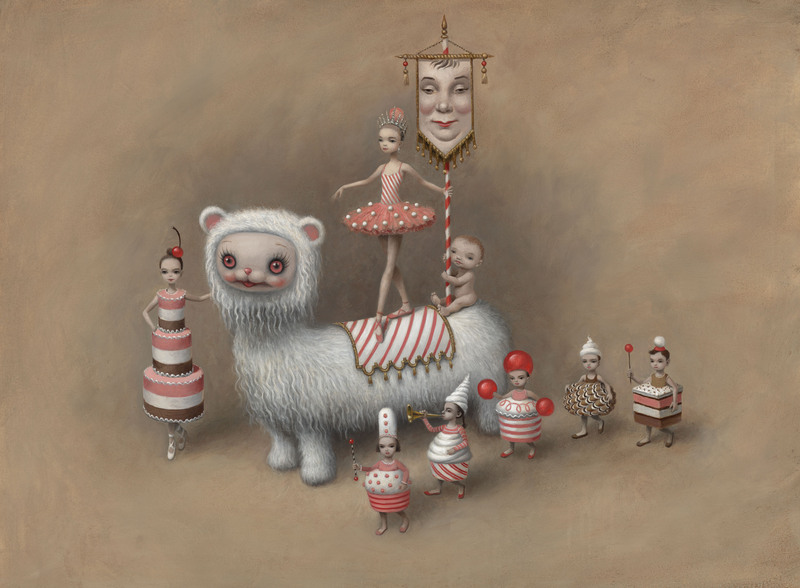 The spectacular ballet features amazing choreography by ABT Artist in Residence Alexei Ratmansky and stunning sets and costumes designed by the artist Mark Ryden. Learn more about the creation of this delightful confection with these facts and figures! The original production of Richard Strauss’ libretto and score for Schlagobers (German for “whipped cream,” of course!) premiered at the Vienna State Opera and featured choreography by the German choreographer Heinrich Kröller in 1924. It was called “the billionaire’s ballet” when it premiered because it cost over four billion kronen (the Austrian currency at the time) to produce . Alexei Ratmansky’s version of the ballet — which features Strauss’ original score but all-new choreography — premiered in 2017. Approximately 150 costumes were created for the production. ABT worked with 11 different costume shops to create the various pieces! 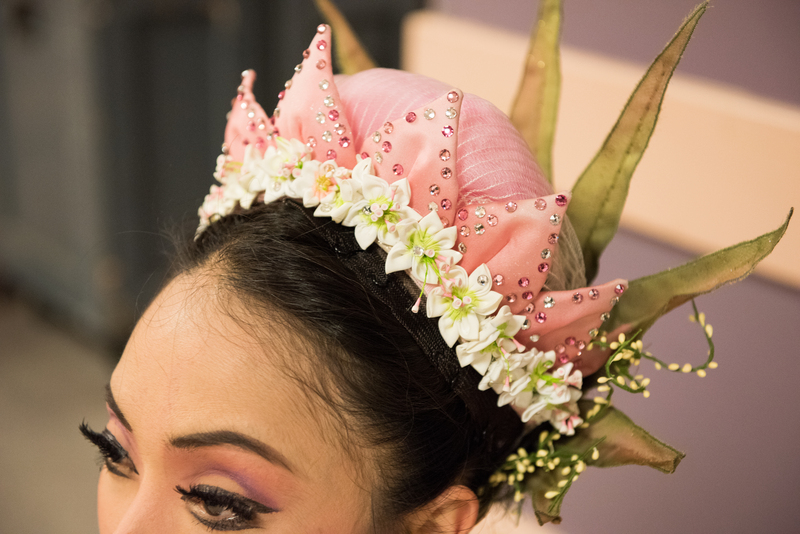 The giant heads that some of the dancers wear throughout the production may look heavy, but they are actually made out of a special carbon fiber material that makes them light as a feather. All of the wigs, beards, mustaches, and even a prosthetic nose seen in Whipped Cream were created by ABT’s Hair and Makeup Department — that’s 20 wigs, 3 beards and a mustache, and 1 nose. The character Nicolo wears a particularly show-stopping braided wig that measures over 2 feet long. 3 bottles of liquor come to life in Whipped Cream — vodka, pink champagne, and plum brandy. Roman Zhurbin, Catherine Hurlin and Duncan Lyle in Whipped Cream. Photo: Gene Schiavone. There are approximately 78,000 Swarovski crystals in 17 different colors used in the costumes and the scenery — 64,000 for the costumes and 14,000 in the sets (including 3 crystal chandeliers). The “Gumball Lady” wears a skirt that features 159 gumballs and weighs approximately 50 pounds (imagine the bubbles you could make with that gum). The Tea Flowers wear costumes that feature 163 hand-painted leaves, and the Swirl Girls’ costumes were created using approximately 5 yards of pink and white fabric! Whipped Cream features 2 puppet creatures — 1 long-necked piggy and 1 snow yak. We hope they’re friendly!